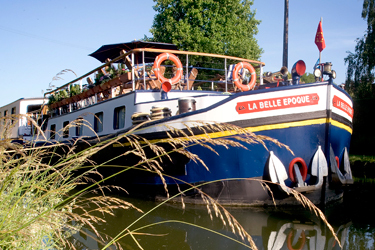 Grab the family and go barge cruising in France! enjoyable and flexible. There are many cruises to fit any budget and there are always many activities to keep everyone completely satisfied. Customize your cruise aboard the Maria. Everyone can do what they want to do all of the time. Mom and Dad can sip chilled Sancerre on deck while the kids go swimming, cycling or walking. The barge moves daily so there is always somewhere new to explore together and tourist attractions make history come alive. Prices for this week long cruise start at $6,795 for a family of four. You can also find yourself spend seven days and six nights aboard the Anjodi or the La Belle Epoque. These cruises can be customized to your family. Highlights for these cruises include the Dinosaur Park and Museum in Meze, Limousis Caves, Grottes d’Arcy sur Cure and Parc L’Auxoiszoo. 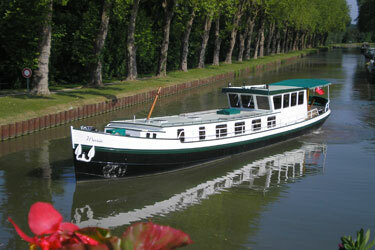 Cruise the Anjodi starting at $3,990 per person or the La Belle Epoque starting at $4,350 per person. Both packages have a children’s discount available upon request. France Cruises can accommodate any group size and budget! Click here for more information and to find more family cruises!